If I Have Glaucoma, Can I Get Cataract Surgery? How will my glaucoma affect when and whether I can have cataract surgery? Most patients who do not have significant vision loss from glaucoma—a condition in which the internal pressure of the eye is so high that it damages the optic nerve—can expect good results from cataract surgery. In fact, eye pressure frequently decreases in glaucoma patients after cataract surgery, which gives them a bonus benefit along with improved eyesight. (It’s important to realize that any vision loss due to advanced glaucoma is permanent, and that portion of vision impairment can’t be restored with cataract surgery.) If you have glaucoma and cataracts and want to treat the cataracts, it’s important to get the timing right. Cataract surgery is recommended when blurry vision from the cataracts starts to interfere with daily tasks such as driving. However, because cataracts are the normal aging of the natural lens, delaying surgery won’t actually damage the eye. On the other hand, glaucoma, if it isn’t controlled, damages the optic nerve causing permanent vision loss—so getting your glaucoma under control must never be delayed and takes priority over cataract surgery. If your doctor believes that it would be safer to reduce your eye pressure even further, he/she may suggest combining cataract surgery with a new type of glaucoma surgery to reduce your eye pressure. Called minimally invasive glaucoma surgeries (MIGS), these procedures (there are several variations) are safe and usually don’t lengthen the recovery time from the cataract operation. Studies have shown that when combined with cataract surgery, MIGS devices reduce the eye pressure more than cataract surgery alone would have. Traditional “filtering” glaucoma surgeries reduce eye pressure the most, but these are more invasive than MIGS. They carry more risk, require a longer recuperation and are reserved for patients with more advanced glaucoma. A MIGS procedure involves implanting a tiny drainage device, or stent, in the eye. Typical stents reduce eye pressure by increasing the fluid outflow through the eyeball’s natural drainage system. Although they will not “cure” your glaucoma, a stent might reduce the number of glaucoma medications you need. Cataract surgery is the ideal time for MIGS because the stent can be inserted through the same incision made for cataract removal. Many glaucoma patients also wonder whether having glaucoma reduces their chances for successful cataract surgery. 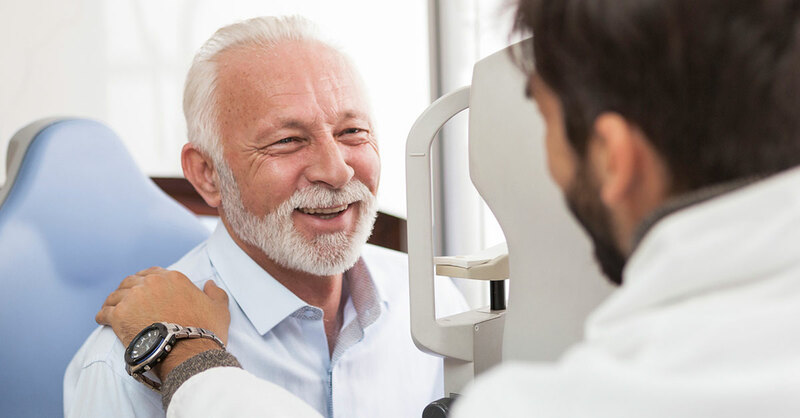 In general, the answer is that unless you already have significant vision loss from the glaucoma, you can expect good results from cataract surgery.